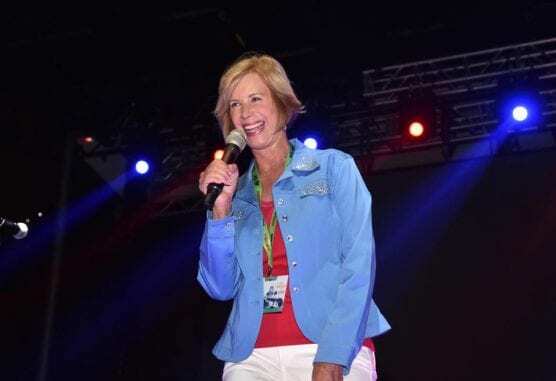 Los Angeles County Supervisor Janice Hahn will serve as the newest member of the South Coast Air Quality Management District Governing Board, she announced Wednesday. Hahn said she will be a progressive voice on the board, which is charged with regulating air pollution across the region. As a member of the Los Angeles City Council, she was integral in constructing the Port of Los Angeles’ Clean Air Action Plan in 2006 which has dramatically reduced air pollution from our ports. The SCAQMD is the air pollution control agency for all of Orange County and the urban portions of Los Angeles, Riverside and San Bernardino counties. This area of 10,743 square miles is home to over 16.8 million people–about half the population of the whole state of California. It is the second most populated urban area in the United States and one of the smoggiest. The SCAQMD Governing Board is comprised of 13 representatives consisting of three appointees (one each by the Governor, Speaker of the Assembly, and Senate Rules Committee) and ten elected officials from the Counties and Cities of the South Coast Air Basin. Hahn will be sworn in on Friday, Dec. 7. Kenworth trucks with Toyota Fuel Cells will begin serving the Port of Los Angeles in 2020.